With our specially designed bicentenary delegate bags stuffed, and some early birds arriving in Southampton on Thursday afternoon, the scene was set for Wellington’s World, the sixth Congress on the life and times of Arthur Wellesley, first Duke of Wellington. 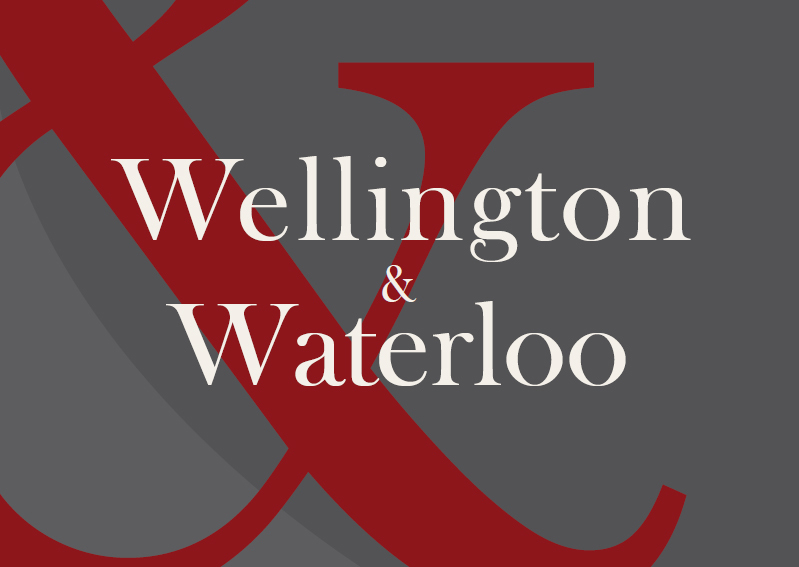 2015 is a special year: not only is it 20 years since the University hosted the first Wellington Congress but this year we mark the 200th anniversary of the battle of Waterloo. In total we had around 80 delegates with us over the three days. Many, naturally, from Southampton, but people travelled from all over the UK as well as from as far afield as America and Australia. The Congress was situated mostly at the University’s Avenue Campus with residential delegates able to stay at the nearby Highfield Hall of Residence. His Grace the Duke of Wellington opened proceedings and attended sessions on the Friday afternoon. His Grace the Duke of Wellington opening proceedings. Delegates were offered a programme of 25 papers; on some days the itinerary was so full we were required to run parallel sessions. Papers were wide ranging and focused on a variety of topics covering both Wellington’s military career and the battle of Waterloo as well as political, social and literary topics. The Congress included four keynote papers. Will Hay from Mississippi State University kicked off proceedings with his paper “Architects of victory: the partnership of Wellington, Castlereagh and Liverpool in winning Britain’s first great war” which discussed this unappreciated partnership between the military commanders and their political masters. “Strategy, seapower and supplies: the British government’s resources in support of Wellington and the European allies, 1808-1815” was the topic addressed by Roger Knight of the Institute of Historical Research, London. He considered the extent to which supply shortages were beyond the government’s control and how the resources of the Royal Navy were heavily stretched in keeping trade routes open. 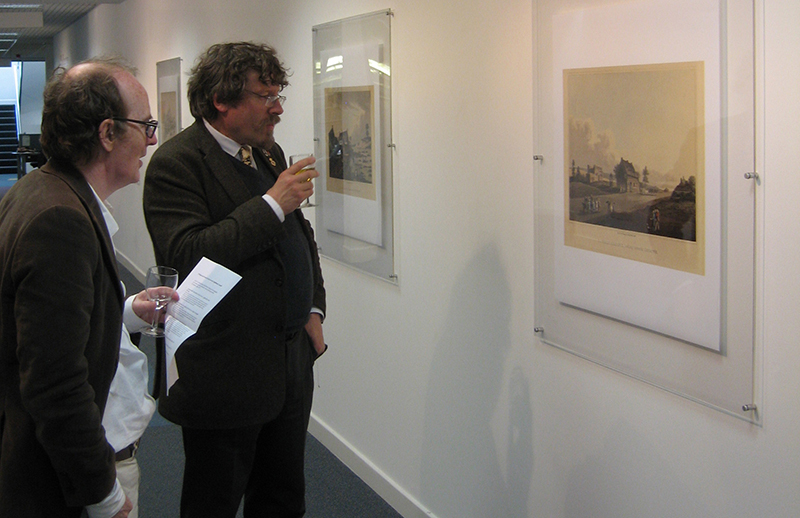 Rory Muir and Charles Esdaile at a private view of the Wellington & Waterloo exhibition in the Hartley Library. 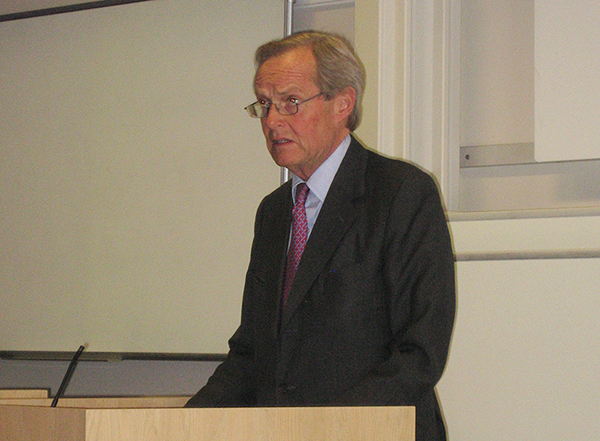 Rory Muir, who is the author of a new two volume biography of Wellington, showed the depth and breadth of his knowledge on the vast amount research that has been conducted on the Duke’s life and career through his historiographical review “The Vicissitudes of Fame: Wellington’s Posthumous Reputation, 1852-2015”. He discussed how and why Wellington’s reputation as a military leader and politician has evolved in the years since his death. The Congress closed with a paper from Chris Woolgar who used his extensive knowledge and experience as a professor of History and Archival Studies to give an in-depth analysis of the under-studied Waterloo dispatch, held at the British Library. We hope to publish a selection of papers in our Wellington Studies series. 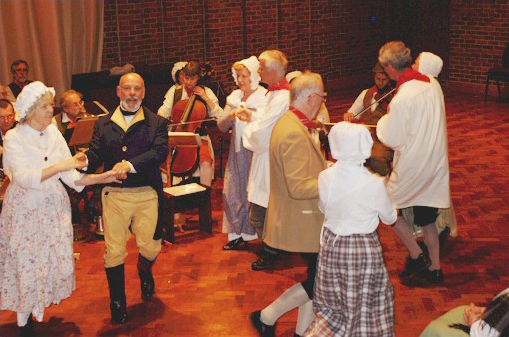 On the Friday evening local group The Madding Crowd performed a programme of music specially selected for the bicentenary. Lively, amusing and informative “With Wellington we’ll go” looked at the Duke of Wellington’s roles in Hampshire, at Stratfield Saye, as Lord Lieutenant, and as Freeman of Winchester. 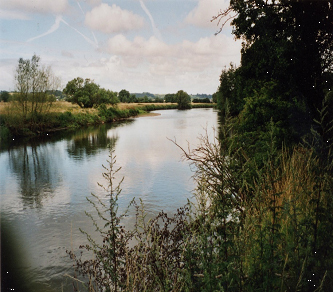 Music included hymns and psalms connected with events in his life, and glees and songs written or performed in his honour. We were also treated to square and Morris dancing. Five current and former Southampton History students entertained and educated us with their BBC Battles, Waterloo 200 presentation. This was produced as a sequel The Battle of the Day: Salamanca 200, a collaborative production by seven undergraduates from Southampton University, which was created to mark the 200th anniversary of the Battle of Salamanca in 2012. This skit television programme was set in the immediate aftermath of the Battle of Waterloo and included a BBC – that is, British Battles Corporation – news report, BattleGear, which compared weaponry, in the manner of a certain car programme, and Battle of the Day where the possible future of the Allied campaign was assessed. The delegates were treated to the first public viewing of the exhibition Wellington and Waterloo: “the tale is in every Englishman’s mouth”. Original material from the Wellington Archive was showcased in the Special Collections Gallery and delegates were invited to browse and socialise with a glass of wine. The catering was excellent throughout the three days with the highlight being the splendid 4-course conference dinner on Saturday night. We are already making plans for the Seventh Wellington Congress which we anticipate will take place in 2018 or 2019 to commemorate the Congress of Aix-la-Chapelle and the 250th anniversary of Wellington’s birth. The Battle of Occhiobello took place on 8 and 9 April 1815. It was a turning point in the Neapolitan War which began on 15 March when Joachim Murat, King of Naples, declared war on the Austrian Empire. Murat was brother-in-law to Napoleon Bonaparte who installed him as King of Naples and Sicily in 1808. Following the disastrous defeat at the Battle of Leipzig in October 1813, Murat began to distance himself from Napoleon and signed a treaty with the Austrians in January 1814 as a means of protecting his throne. However, as the Congress of Vienna progressed he became increasingly aware of the European powers’ intention to remove him and return the Kingdoms of Naples and Sicily to their pre-Napoleonic rulers. On hearing of Napoleon’s return to France in March 1815, Murat aligned himself with the Bonapartist cause and made his declaration of war against Austria. After issuing the Rimini proclamation on 30 March, inciting all Italian nationalists to join his cause and rise in revolt against their Austrian occupiers, Murat and his force of 40,000 men advanced towards Bologna. On 3 April, the day after capturing Bologna, Murat’s Neapolitan army defeated an outnumbered Austrian force on the banks on the Panaro River. However, Murat’s proclamation of 30 March did not have the intended effect and he received little support from the Italian populace. Despite this, on 8 April, he attempted to cross the bridge over the Po River at Occhiobello and enter Austrian controlled territory. By now, the Austrians had been reinforced and after repeated attempts to cross the river the Neapolitan’s were finally repulsed. By the end of the second day, Murat was compelled to retreat. With the morale of his troops diminished, Murat would now have to establish a defensive position and prepare for the inevitable Austrian counterattack. The Treaty of Vienna was agreed on 25 March 1815, with Austria, Russia, Great Britain and Prussia each committing to put 150,000 men in the field against Napoleon. Wellington was commissioned to take command of the Allied forces and left Vienna on the morning of 29 March, arriving in Brussels on the evening of 4 April. In 1814 each of the Allied powers had agreed to keep 75,000 men on the Continent until a final settlement had been reached. However, over the course of the subsequent year, a significant portion of Britain’s forces, including those that had served with Wellington in the Peninsula, had either been disbanded or sent to America. As such, by the beginning of 1815, Britain had closer to 36,000 men in the Low Countries (more than a third of who were Hanoverians), with the troops being of generally poor quality. Wellington’s complaints were heard and a significant number of additional men were raised in the subsequent two months. As both Britain and Ireland were stripped of their garrisons, a provision was made for Britain to pay for troops supplied by other powers through treaties of subsidy. However, it was to prove an anxious time for the Allied powers. 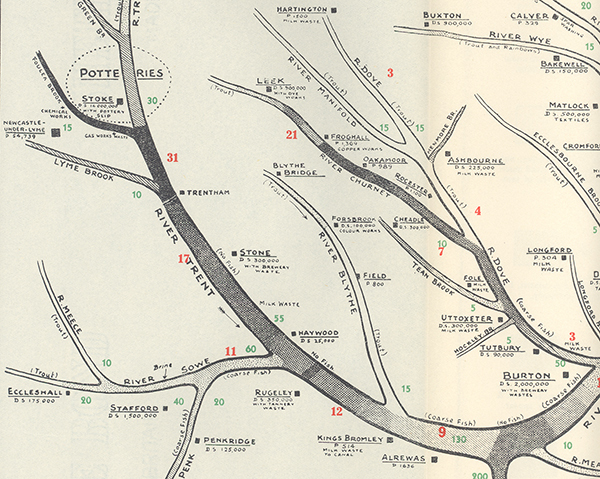 As preparations and negotiations were still underway, there were repeated reports of French movement on the frontier, together with warnings of an impending attack on Belgium. On the same day Wellington arrived in Brussels, Napoleon had written a letter to the European sovereigns announcing his restoration to the imperial throne, and expressing his desire for peace. The proposal was rejected and the bearers of the letter arrested. War had become unavoidable.